They were a really good price not surprised they were snapped up quickly. This colour-way actually look so much better IRL than online. I'd recommend them to anyone. Perhaps it's the 50 shades of it? Can second this. Seen in an outlet a few months ago for £30 or so. It’s still working. I’ve just bought a pair of the light ones with click and collect and it went through without issue. Heat if I could. They had these at the nike outlet at Cheshire Oaks today for £18, I only looked at my son's size which is 1 but they were the smaller kids size 2 being the biggest! Won't let me add any size to the basket, shame. A bit of tippex and they’ll be worth double! To be a trainer designer these days is an easy job. You put anything on a trainer no matter had bad. I used to own so many trainers but I suppose it’s a good thing I don’t anymore, but that’s due to how bad simple trainers look these days. Fairly plain seems to be out of fashion. Or maybe I am just getting old. Didn't see that, cheers man! 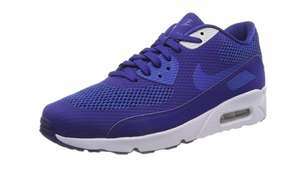 7 colours of Nike Air Max 1 trainers only £59.47 @ Nike + possible 10% unidays student discount = £53.53. PM me for a code. Never miss a 'Nike Shoes' deal again! 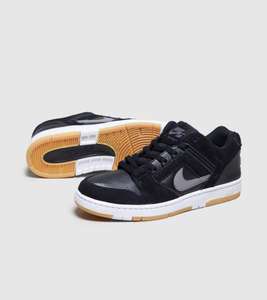 The nike store website has always had these on offer around the £60 mark, you just need to keep checking. Tbh they are normally posted on here when they're that price anyway. What stores do they normally go on sale at. Been wanting some of these for ages. Don't spend that much then? I thought they might have got discounted for Air Max day today. Already got a pair, thinking about sending back as they are in stock still everywhere so will get discounted without a code sooner or later. You’ll be a legend (y) My lads pestering for these. Free delivery on these. Couple of other colours left in limited sizes. Ugly shoes, but I own a pair ,bought em for £50. When the box arrived I thought it was empty. So light and so comfortable. Defo recommend. As long as their parents can afford it then it’s all fine I think but some people have more than 1 child which if they all ask for shoes at £100+ can become expensive. As long as they don’t make a huge fuss and cause frustration to their parents then it’s all fine I would say. I don’t think there is anything wrong with teens wanting to look nice and wear designer clothing, many adults do, it doesn’t mean they are in with a bad crowd. They are finding themselves and what they like, there’s nothing wrong with wanting to own nice things. I think YouTubers have a huge influence on today’s youngsters as well. I don’t think they are wanting the designer trainers for school but more in social settings when they see there friends and peers out of school. Yes I understand same thing with smoking I guess you pick it up during school and college. They get influence really quickly which is bad but I guess you should hang out with the correct crowd and be strong minded. Glad this country has unifrom if not it would cost a fortune to parents ! Like I said, peer pressure. It's a powerful thing when you're a kid. 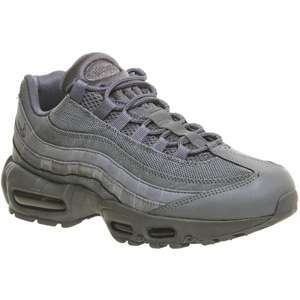 And in my school in the early 90s you could get away with wearing trainers. And don't forget PE lessons. Also outside of school in a social setting. Do't understand why you need these kinda shoes or designer item if you are under 16 and begging your parents to get them. Every school in the UK wear uniform so whats the point ? Get them when you have your own money. Save it and spend it on it. Great post. Leeds just a tad too far for me. Does anyone know if the Nike outlet in Wembley London have such good bargains ??? 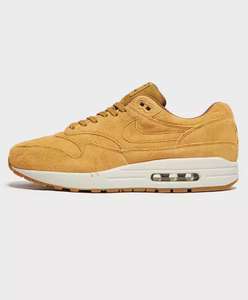 Special edition Nike Air Max 1 "pull tab" reduced to only £69.47 + 10% unidays code = possible £62.52 + 7% Quidco @ Nike. Any one got a code? Anyone got a spare unidays code? Thanks. I'll add to title. Looks like 7% quidco too. What? One if the most Comfortable shoes ever made , fantastic . &#x1F525; heat added. There doesn’t seem to be much love for high end Nike trainers at the moment. I see good deals going cold time and time again. Seen a review stating these are a great design, with a retro touch. Bloody awful, but hey we all have different opinions thank goodness. Geez, no need to get salty, just take a picture Matty.